November 17 is World Prematurity Day. Multiples of America honors all multiple birth families who have experienced premature birth. Per the CDC, 63% of multiple births are preterm. 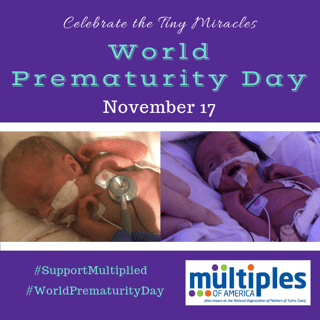 Learn more at www.multiplesofamerica.org #WorldPrematurityDay #wpd2018 #supportmultiplied.